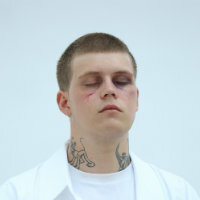 Yung Lean has shared a haunting new track, Like Me, featuring Maryland rapper Lil Dude. Produced by HurtBoyAG and Foster, with artwork from Bladee, the track follows up previous 2018 singles Crash Bandicoot and Ghostface/Shyguy, his first new material since the release of 'Stranger' at the end of last year. In addition to the new track, the Swedish rap artist has confirmed longtime collaborators Drain Gang and electronic experimentalist Yves Tumor as support for his specially curated Wings of Desire performance of live music and art at London’s O2 Academy Brixton on November 21. Consisting of Bladee, Ecco2k and Thaiboy Digital, Swedish crew Drain Gang are a huge part of the SadBoys story, with each member collaborating and touring with Yung Lean throughout the years. Yves Tumor, meanwhile, released his first album for Warp Records, 'Safe In The Hands of Love', earlier this year. Click here to compare & buy Yung Lean Tickets at Stereoboard.com. Yung Lean has shared a video for Friday the 13th. Yung Lean has shared a new track. Photo: Zak Arogundade Yung Lean has unveiled two new tracks.